PASADENA, TA (KTRK) -- A Pasadena shelter for homeless women and children could close doors soon if operators cannot raise enough money or donations to remain open. In 2013, the building in which "Sarah's House" has operated was sold. The new owners let the shelter stay till now, but they are just two weeks away from moving into a different building near Fresa and Perla Street in Pasadena. Operators just learned recently however that someone stole one of the air conditioners at that building and that it requires other upgrades to bring it up to code as a shelter. "I just cannot see our doors closing. Sarah's House saved my life. It was my life support," says Millie Edwards who was once a resident and is now the program manager at Sarah's House. Edwards and others say the bill for all that work that needs to be done will add up to over $17,000. They're not sure how to raise that much money that fast. They called Eyewitness News out of desperation. "Criminals are taking what we worked so hard to create....It makes me angry. It makes me frustrated, and it just hurts," said Laura Gross, who once also was homeless and also now works at Sarah's House. Without some assistance, representatives say they may have to close and turn away the 16 women and their children who currently are calling the facility home. 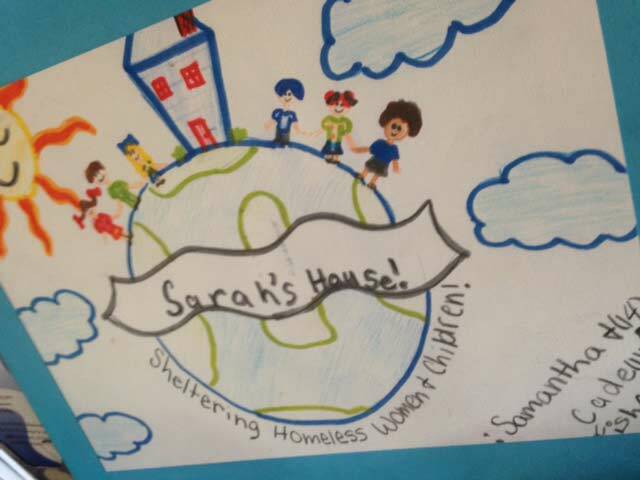 Since opening Sarah's House has served 1,800 residents. To donate you can log onto their gofundme site. For more on Sarah's House you can visit www.Sarahshouse.net.